SAN JOSE, CA--(Marketwire - February 1, 2010) - From Alaska to Florida and everywhere in between, schools are competing for the opportunity to transform their outdated libraries into digital learning labs. From a field of nearly 1,200 nominations, Acer and Intel have selected 10 K-12 schools that are up for public voting to determine the winners. From now through March 31, 2010, the public can cast their votes at http://professional.us.acer.com/edu/LibraryMakeover. The school with the most votes will be awarded a grand prize of 10 new Acer Aspire Timeline notebooks and two all-in-one desktop computers, valued at nearly $12,000. Schools submitted nominations showing outdated and inefficient technology in their libraries. Other schools shared the dramatic impact of severe budget cuts and shortfalls, with no resources for necessary items such as new technology to help students learn. The stories presented by schools varied, but they all featured the same goal: To help provide students a 21st century education with the necessary technology to prepare them for the future. Now it's up to the public to determine the winner by an online voting process at http://professional.us.acer.com/edu/LibraryMakeover. --  Edward T. Bowser, Sr. Unique School of Excellence - East Orange, N.J.
--  Kate Waller Barrett Elementary School - Arlington, Va.
--  Mesa Vista Middle and High School - Ojo Caliente, N.M.
--  Neosho Heights Elementary School - Oswego, Kan.
--  Range Elementary School - Watauga, Tenn.
--  Richard B. Russell Middle School - Winder, Ga.
--  Theodore Roosevelt Educational Campus - Bronx, N.Y.
--  Thomas Middle School - Holdenville, Okla.
"After reviewing the nominations, we were truly inspired by the hard work and dedication of so many schools despite the challenges and lack of financial support they face," said Richard Black, director of marketing for Acer America Corporation. "We have no doubt that any of these 10 schools could use new technology to help educate students and prepare them for the needs of the 21st century." In Nov., Acer and Intel launched their School Library Technology Makeover contest to help give schools the most up-to-date tools and resources so that libraries can continue to be rich learning environments for students. Due to difficult economic conditions, library spending on technology has hit a plateau, according to School Library Journal's most recent Spending Survey. The survey found that, in general, school libraries have no major plans to add more equipment. As part of the American Recovery and Reinvestment Act of 2009 (ARRA), there is an unprecedented $115 billion set aside for education. Making the right decisions on how to create sustainable, long-term results for education technology will vary for different districts and schools, but there's no doubt technology will play an increasingly important role in school libraries. To help understand ARRA and how education technology fits into the stimulus package, Acer has developed a resource guide. The complete resource guide is available for download as a PDF. For more information about Acer's School Library Technology Makeover Contest or Acer's solutions for K-12 education, please visit: www.acer.us/education/index.htm. Since its founding in 1976, Acer has constantly pursued the goal of breaking the barriers between people and technology. Focused on marketing its brand-name IT products around the globe, Acer ranks as the world's No. 2 vendor for total PCs, No.1 for netbooks and No. 2 for notebooks, with the fastest growth among the top five players. A profitable and sustainable Channel Business Model is instrumental to Acer's continued growth, while the successful mergers of Gateway and Packard Bell complete the company's global footprint by strengthening its presence in the U.S. and enhancing its strong position in Europe. The Acer Group employs more than 6,000 people worldwide. 2008 revenues reached US$16.65 billion. 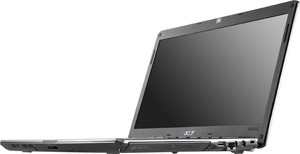 See www.acer.com for more information.